L-R: Dr Benjamin Seet, Executive Director of the Biomedical Research Council, A*STAR; His Excellency Bruce Gosper, the Australian High Commissioner to Singapore; Dr Steven Fang, Chief Executive Officer / Founder, Invitrocue Ltd; The Hon Martin Hamilton Smith, Minister for Trade and Investment, South Australian Government; Dr Raj Thampuran, Managing Director, A*STAR; Professor Ng Huck Hui, Executive Director, Genome Institute of Singapore (GIS); Professor Noel Lindsay, Pro-Vice Chancellor (Entrepreneurship), University of Adelaide. 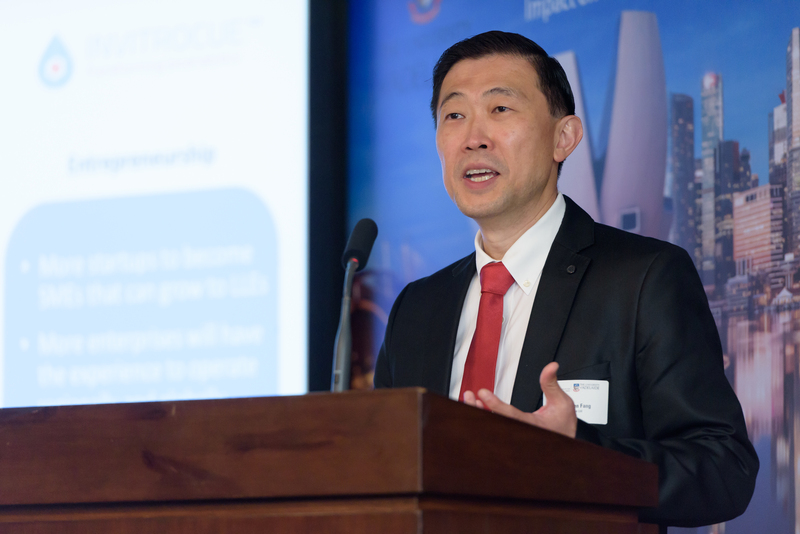 Key Note Address “Innovation, Technologies and Entrepreneurship: The Global Context” delivered by Dr Steven Fang, Chief Executive Officer / Founder during The Australia – Singapore Relationship Conference 2017. 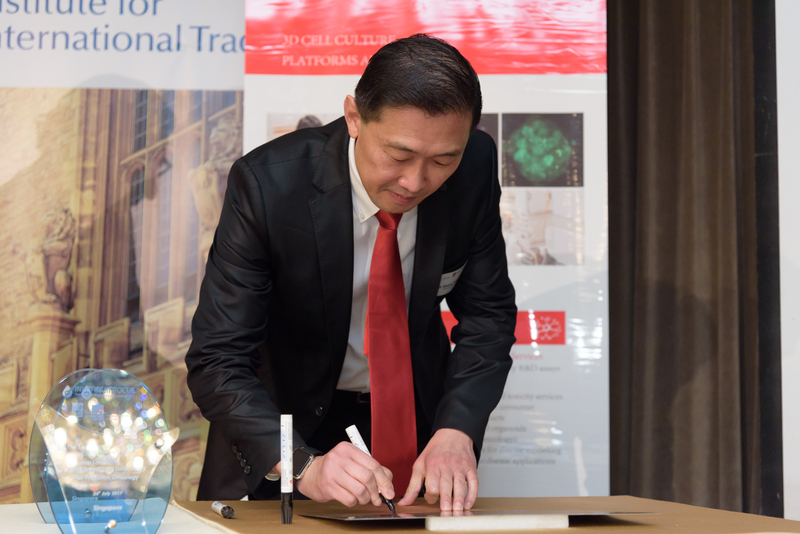 Dr Steven Fang (above picture) joined His Excellency Mr Bruce Gosper and The Hon Martin Hamilton Smith to unveil the commemorative plaque. Singapore, July 24, 2017 – Invitrocue, a leading healthcare bio-analytic solutions provider at the forefront of personalised medicine, has established a first-of-its-kind joint laboratory with A*STAR’s Genome Institute of Singapore (GIS) to better guide clinical decisions in cancer management. The GIS-IVQ Joint Laboratory aims to boost expertise and develop tumour models to enhance decision-making for clinicians, enabling them to personalise treatments that will help patients manage the disease and prolong survival. The laboratory is the first in Asia-Pacific to focus on the integration of phenotypic and genomic data with patient response performed prospectively. This means that patient-derived tumour models, functional genomics, and Artificial Intelligence (AI) or data mining will be used to identify novel biomarkers of drug resistance and response, and to provide real-time guidance of treatment in a clinical setting. Located at the Genome building in Biopolis, the laboratory will focus on the development and integration of Invitrocue’s Onco-PDOTM platform for four oncology indications, which include head and neck cancer; colorectal cancer; liver cancer; and triple-negative breast cancer. These cancers were specially chosen as they are diseases with no biomarker-guided therapy, and are prevalent in Singapore and across Southeast Asia. 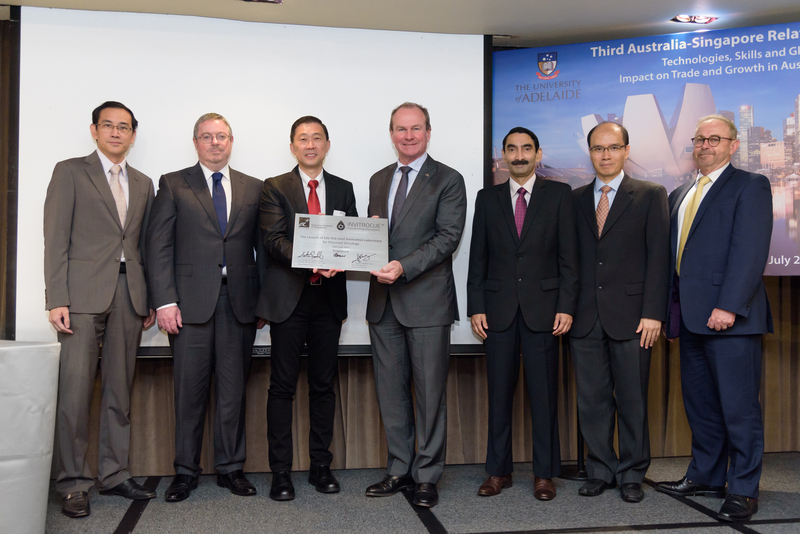 The GIS-IVQ Joint Laboratory was officially launched today as part of the University of Adelaide’s Third 2017 Australia-Singapore Relationship Conference held in Singapore. The event was graced by His Excellency Bruce Gosper, the Australian High Commissioner to Singapore, and the Hon. Martin Hamilton-Smith MP, Minister for Investment and Trade, Government of South Australia. View Video.